A home is one of the largest single transactions that you’ll make in your lifetime. When it comes to homeownership, you have either the choice of paying with cash or through a mortgage. There’s much to contemplate when deciding which route you’re going to take – starting with the benefits of each. By paying with cash, you’re eliminating the aspect of paying interest on a loan, as well as many of the closing costs associated. Additionally, paying cash will also make your purchase more attractive to sellers in that they’ll likely take cash over other offers because they won’t need to worry about issues relating to their financing being denied. 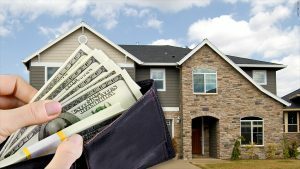 Cash also helps close the home faster than with a mortgage on account of the seller being more open to move in to their new house at a quicker pace. They may also receive a “cash discount” of some sorts during the negotiation phase which may benefit you depending on how willing the seller will lower it. Financing has its benefits that are a bit more financially flexible for buyers. By paying with cash, you’ll tie up much of your cash, which might even get you into financial trouble in the future. Cash buyers also need financial room to breathe in the case of major repairs or renovations and it may be tough to obtain a mortgage in the future as you don’t know what your credit score will essentially look like as well as other factors. In most cases, the interest on a mortgage is tax deductible which may be advantageous to you in regards to the financing of the home. Although mortgages do have you paying more in the end, it can still be arranged to where it’s affordable for your current financial standing – and you’ll be the owner of a home. Kuba Jewgieniew is the head of Realty ONE Group, a real estate brokerage firm that has offices in Arizona, Nevada, and California. May 31, 2016 in Real Estate.